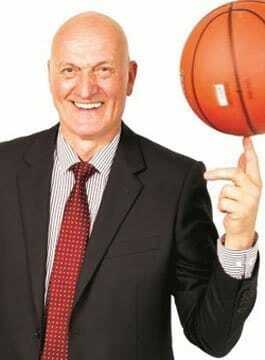 John Dabrowski is an inspirational speaker, successful businessman and renowned ex-professional Basketball player. As a keynote speaker and coach, John helps individuals and organisations develop world class Mental Resilience. John was one of the first ever British professional basketball players and a member of the England Basketball team. He played all over Europe, culminating in winning the Play-Off finals at Wembley live on BBC TV. John Dabrowski holds the British Record for the most points scored by an individual in a single game. This record has stood for over 30 years. Following a serious back injury, he finished playing after the Play-Off victory and took up the position of Commercial Manager at Sunderland Basketball Club. He later became General Manager of the Manchester Giants Basketball Club, where with hard work and good management they were voted the best-promoted club in England by the English Basketball Association. John left the basketball world to enter the sales arena, becoming a champion regional sales manager for Newcastle’s Metro Radio. This was followed by 20 years in outstanding design and advertising agencies. He is a qualified NLP practitioner and coach, and has completed various courses in Human Relations and Guided Imagery. John runs Mental Resilience and Sales courses around the country to various sized organisations. These have included: the Probation Trust, NatWest Bank, Kenwood, Salvation Army Housing, NHS, the Academy for Chief Executives, Nottingham University, Wakefield Housing and Hatstand Financial, to name a few. John coaches executive clients to help them overcome challenges and develop new techniques to inspire them to achieve peak performance. John demonstrates how using Mental Toughness led him to play Basketball for England at the Commonwealth Games and to become one of the first British Professional players. John Dabrowski has used a raft of Mental Resilience techniques to help him succeed in life. He now shares these with people to help them discover things within, which they weren’t aware of, and to reach heights they never dreamed of. "Fantastic training, really powerful and brilliantly delivered which couldn’t have come at a better time. I really enjoyed this and I think it will be brilliant for both professional and personal issues"